It’s football season ladies and gentlemen, and not just any football season, the FIFA World Cup 2018 is here and even non-football fans are excited to watch. Of course, those on holiday make worry about not knowing where to see their national teams play. 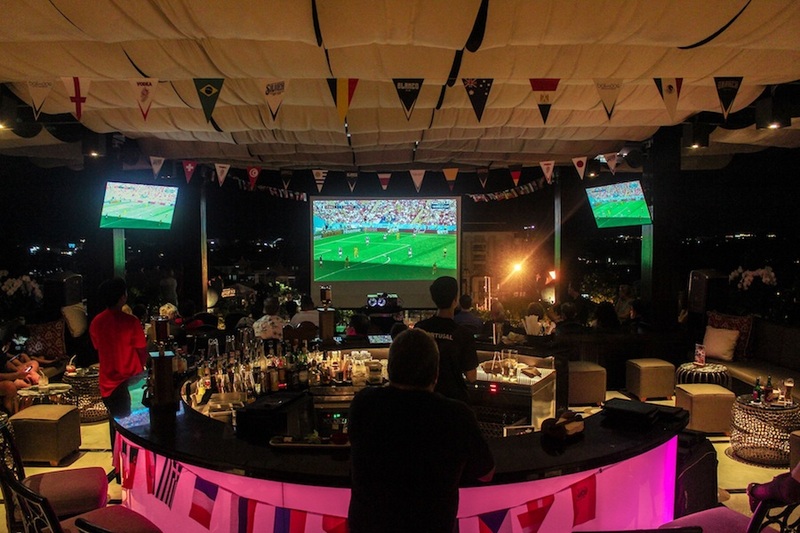 If you’re looking for where to watch the World Cup in Bali, worry not. There’s one place showing every single game! Every 64 games, from kick-off to finals can be enjoyed at The Trans Resort Bali. 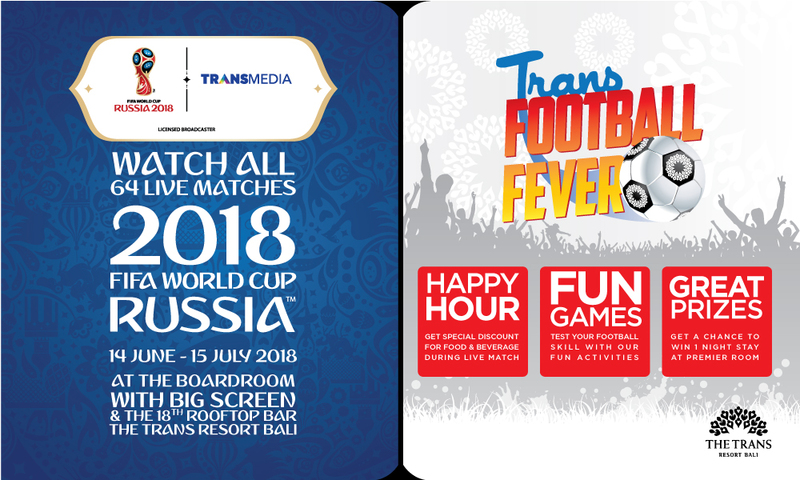 Trans Resort’s holding company CT Corp have been granted the license to broadcast the “FIFA World Cup 2018 in Russia” nationwide, through their subsidiary TRANSMEDIA. As a result, all of The Trans Hotels & Resorts will be enjoying full-time viewing of the whole month-long, worldwide football competition. The Trans Resort Bali will be showing most of their games at 3 venues: their boardroom with a big screen, The 18th Rooftop Bar and also at The Restaurant, found by their popular, white sandy beach pool pool. For in-house guests, the games will also be made available in rooms. It is free to come and enjoy each football, but of course some purchases of food and/or beverage should be customary. There will be plenty of activities and events surrounding these football events, including a “Weekend Big Match” Kick Off (Saturday 16 June 2018, Australia vs France), a “grand final” experience at The Restaurant (15 July 2018) and of course some food and beverage promotions including 1 free cocktail for a booking of 10 people and a specially prepared dessert just for the tournament. « KiloRun Bali 2018 : Eat Whilst You Run!